The table below details all known completed prosecutions of hunters from organised Hunts in England and Wales under the Hunting Act 2004 since the Act came into force on 18-2-05. In reverse chronological order. Note that only completed prosecutions are included and the dates given are those on which they were completed [apart from any - there have been two - which were successfully appealed. For those, the entry is for the original conviction date]. The qualification for inclusion is that a formal charge or caution was made by police or a summons issued]. Prosecutions under the Scottish equivalent of our Hunting Act are not included. .
Charges dropped just before trial. Badger Act ones were also dropped. In table above, 'acquitted' means person was tried of offence and found not guilty. 'Dropped' means the charges were discontinued either before or during the trial. The table covers only prosecutions of persons known to be affiliated with organised, though not necessarily 'registered' , Hunts. In one case where Hunt itself charged, Hunt treated as a 'person' . The table above details all known completed Hunting Act prosecutions launched/police cautions issued against persons affiliated to organised Hunts in England/Wales since the Hunting Act came into effect on 18-2-2005. - 107 'persons' from organised Hunts have been charged with HA offences [7.6 per year]. - 48 of the 175 charges resulted in conviction or caution [27.4%]. - 44 of the 139 charges that went to court resulted in convictions [316%]. - 32 of the 36 Hunts to have members charged [includes cautions] are fox hunts, 2 deer and 2 hare. - 3 persons have been charged twice, two three times. - 36 persons [including Heythrop FH as body corporate] of the 107 charged [33.3%], were convicted or accepted police cautions, of a total of 48 proven HA offences. - Charges, including cautions, under the Hunting Act, have averaged just 12.7 per year. - 52 of these charges were re. the big Heythrop trial. Excluding that case, there have been 123 HA charges against organised hunters [8.8 per year]. - The Hunt Monitors Association - all volunteers, most POWA Associates - provided evidence for 58 of the 175 HA charges against organised hunters [33.1%,]. - League Against Cruel Sports monitors [mostly employees] provided evidence for 54 of the 175 HA charges [30.9%]. - 30 people charged were acquitted of ALL their HA charges after trial/appeal [28% of all charged]. - 42 people escaped conviction after ALL their HA charges were dropped, either before court or during trial [39.3% of all charged]. - Thus, 66.4% [two-thirds] of all organised hunters charged with Hunting Act offences have escaped conviction. - 90 of the 175 Hunting Act charges made were dropped either before or at trial [51.4%]. 40 of these related to the big Heythrop trial. - Just over half  of all the cases have been brought by the main prosecuting authority, the CPS, and they have lost or dropped 19 of them [65.5%], so their success rate is just 34.5%. They dropped 8 cases before trial [27.6% of total cases]. Given how very reluctant the CPS has proved to bring Hunting Act cases at all, this is an indication of how very difficult the extremely high evidential bar set by the Hunting Act is to successfully surmount. - LACS has brought 12 Hunting Act cases and achieved at least one conviction in 5 of them [42.5%]. - The League Against Cruel Sports used to prosecute their own cases, with a little more success, but changed policy a few years ago and decided to pass them to the CPS instead. It did, since then, entrust one case to the RSPCA, which failed. Subsequent to the policy change, the LACS did bring one case which the CPS had declined. Charges were dropped at trial after the defence challenged the impartiality of the League's expert witness. - The RSPCA has brought 6 HA cases and gained at least one HA conviction in 3 of them [50%]. The RSPCA attracted such vitriolic propaganda from the pro-hunt side after the very large and expensive Heythrop Hunt case in December 2012 that that they appointed the former Chief Inspector of the CPS to examine their prosecutions policy. Stephen Wooler reported in September 2014. He said that, among other things, monitoring evidence showed beyond doubt that Hunts were extensively flouting the ban. But he determined that the rewards of prosecuting them, partly because of the paltry fines levied, too small to justify the cost to the RSPCA. He urged the CPS to more to bring Hunts to justice and also said the Society should press for the Hunting Act to be strengthened. Although the RSPCA has decided since to prosecute one HA case that the CPS declined, the Society's review of its prosecution policies seems likely to result in a reduction of the total number of prosecutions of organised hunters. The society is yet to clearly call for strengthening of the Hunting Act, unlike POWA, IFAW, LACS and the HSA. The great majority of HA cases have relied on evidence from hunt monitors, and some from sabs, but only a very small proportion of those reported by them, with video evidence, have resulted in prosecutions, even though both understand that their evidence needs to be very robust to make it even worth reporting. Their experience is that to obtain evidence sufficient to convict, even when hunting is conducted pretty blatantly in front of them, is extraordinarily difficult, partly because what the Hunting Act allows Hunts to do looks, at least to those not steeped in the ways of their practices, so like the actual hunting of live quarry that it is very hard to convince police, prosecutors or courts that this is precisely what they are doing. And it is very easy for Hunts to trot out seemingly feasible, and by now well-rehearsed, excuses. See 'Reform not repeal' for an explanation of why this is so and the manifold ways Hunts have found to evade prosecution or conviction whilst continuing to hunt wild mammals. 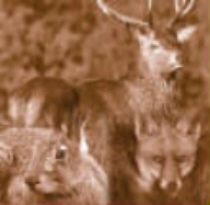 See also IFAW's excellent report 'Trail of Lies' which exposes 'trail hunting' to be a clever, but false, alibi, custom-designed to allow Hunts to carry on live quarry hunting whilst minimising their chances of being prosecuted. Four persons have successfully appealed a Hunting Act conviction [the Huntsman of the Exmoor FH, in 2009, 3 from the Grove & Rufford FH in 2018].but the hunt side got a huge benefit from it from the first one. 'Searching' was declared not to be 'hunting' within the meaning of the Act [though DEFRA had previously stated it was] and the judge emphasised that illegal hunting must be proved to be intentional. He also stressed that, if the accused claims to have been 'Exempt Hunting' the onus is on the prosecution to prove it was not exempt. Disposals for those convicted of Hunting Act offences have been as follows;- Fines - 42 Conditional Discharges - 2 Cautions - 5 [excludes one originally fined but later acquitted on appeal]. The maximum fine allowed for any one offence was until a couple of years ago £5000. It has since been made unlimited, as with all Level 5 offences. The average levied on conviction where a fine was imposed has been £564 [11.3% of maximum when limit was £5000]. The highest levied has been £3000 [offender was a multi-mllionaire], the lowest £100 [2% of the maximum]. Even on the rare occasions organised hunters are convicted, the sanctions imposed are generally pretty slight and, because they are not recordable, do not result in offenders acquiring a criminal record and not added to an existing criminal record. This also means that police do not keep specific records of alleged Hunting Act offences reported to them, though records of prosecutions are kept by the court service. The Hunting Act, unlike other animal protection legislation, and unlike the equivalent Act in Scotland, has no provision for prison sentences. The former maximum fine was £5,000, but the average one, where imposed, has been just 11.3% of this - and six offenders have escaped with just a caution or a Conditional Discharge. The Act has provisions for confiscation of animals and equipment used in the commission of Hunting Act offences, but these have never been used against organised hunters, though a number of 'lurcher brigade' offenders have had their dogs taken from them and even their vehicles seized and crushed. 5 people have been arrested and charged under the Animal Welfare Act 2006, in relation to alleged incidents involving the South Herefordshire FH in April/May 2016. Trial is pending. The Huntsman of the Grafton FH is awaiting trial on 1 illegal hunting charge. In March 2016, 2 staff members of the Jedforest FH were charged with illegal hunting under the Scottish Act . Trial began 16-3-17 and was spread over several weeks. They were both convicted and fined. This is only the third time that Scottish Act has been used against organised hunters. There had previously been no convictions of organised hunters in Scotland. The Scottish government, following the Bonomy Review, has announced that it intends to strengthen the Act there. 2 members of the Buccleuch FH were tried in December 2018 on illegal hunting charges but were acquitted. On 14-2-18 the Labour Party announced that they would strengthen the Hunting Act 2004 [England & Wales], if elected. The table below details all known prosecutions of hunters from organised Hunts in England and Wales since the Hunting Act 2004 came into force, under animal protection Acts other than the Hunting Act.